Health Benefits of Dark Chocolate | Is Dark Chocolate Good for You? It sounds too good to be true, but dark chocolate does indeed bring health benefits! Who doesn’t love chocolate? It dates back to 2000 B.C coming from the Mayans. Dark chocolate is nutritious, high in antioxidants and contains flavanols which can help protect the heart. The highest content of flavanols are found in dark chocolate, not milk chocolate. There even have been studies to show that the flavanols create significant health benefits of dark chocolate by increasing insulin sensitivity, reducing the risk of diabetes. Need we say more? Click here for 10 delicious diabetes-friendly desserts. So is dark chocolate good for you? In short, yes. 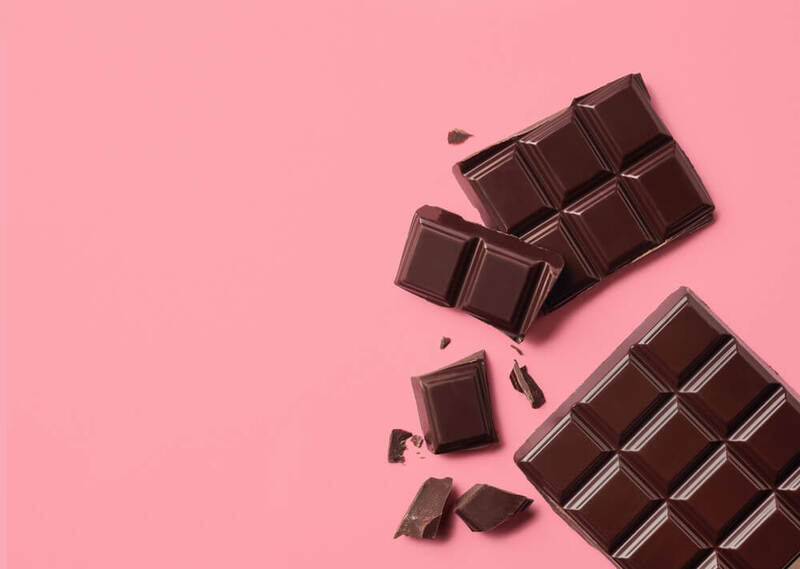 Continue reading to learn more about the health benefits of dark chocolate, dark chocolate nutrition and a few easy ways to eat dark chocolate (if you’re not a huge fan). Dark chocolate protect the skin – Certain compounds of dark chocolate can be a great addition for your skin and flavanols, mentioned before, can help by being a defense against the harsh rays of the sun by allowing for more blood flow. The increased blood flow to the skin not only can help with skin density but also hydration. Heart Health – Not only does dark chocolate contain flavanols which can protect the heart. Dark chocolate also contains compounds that can protect against the oxidation of LDL – bad cholesterol. When the bad cholesterol is oxidized it is more easily stuck in arteries, but when it isn’t oxidized it flows more smoothly in the blood stream. Blood Flow – Flavanols help the body send signals to the arteries. This reaction allows the arteries to relax giving more ample blood flow and a reduced level of blood pressure. Antioxidants – All the antioxidants in dark chocolate allows for numerous health benefits, it is considered to have the highest level of antioxidants of most foods. Dark Chocolate Nutrition – the nutrition of dark chocolate includes 11 grams of fiber as well as a high composition of iron, magnesium, copper, manganese and potassium, phosphorus, zinc and selenium. Grate it – weather you eat cereal, oatmeal or acai grating 70% or higher dark chocolate over your meal can really give it a delicious touch. Garnish – If you’re eating a plate of fruit, use a bit of dark chocolate as a garnish. You can strip it into curls, make it look pretty and be a tasty side to fruits and such. Ice Cream – weather you’re making your own homemade ice cream or nice cream or buying it at the store, you can throw in some dark chocolate chunks to give it a deeper flavor. Straight up – without eating the whole bar, break off a piece of dark chocolate in the morning or afternoon as a little pick me up. Breakfast Baked Goods – if you’re a fan of making breakfast muffins or mixtures, adding a bit of dark chocolate can give it a bit of liveliness. These health benefits of dark chocolate are just a teaser of what it can really do for you. It is important to point out that dark chocolate should be consumed in moderation, especially if what you are eating contains sugar. It’s also important to point out that not all chocolate on the market is healthy, when buying in stores, dark chocolate 70% and higher is what you should be looking for.